This year, it may have seemed that the iPhone X has been all that Apple has achieved. That the new telephone of the company has eclipsed each and every one of the novelties that have been presented throughout its events. And the truth is, it could be true, because there are many who have forgotten that Apple has not only managed to create a really new iPhone, but has also introduced a new iMac Pro, and a new type of product . A few months ago, everyone wondered if the Californian company would launch to compete against Google and Amazon for having the assistant that manages to dominate every home. At WWDC, they gave their response, and made a declaration of war with their HomePod. A speaker designed more to offer a good sound , than simply to respond to the orders of the users. However, it seems that they got ahead ... Or that they were ahead of them. As indicated by The Verge, Apple has decided to delay the launch of HomePod to 2018 , despite the fact that it had already set its exit at Christmas this year. The company excuses itself that they need some more time so that the HomePod has the quality that their clients expect. Although it is already beginning to talk about that there could be other reasons, related to the latest releases of Google. In his last event, Google introduced a new version of Google Home, the Google Home Max, and with it, the reasons to buy a HomePod simply disappeared. 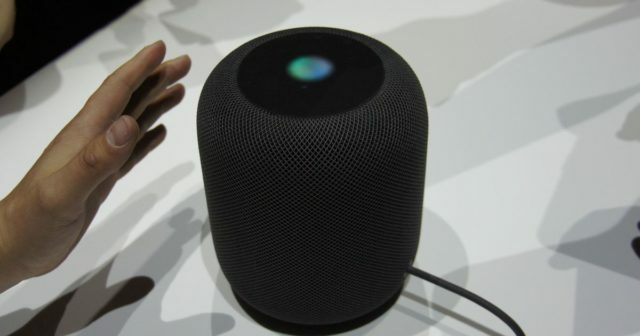 Although Siri is inferior to its rivals, as has already been demonstrated, Apple could at least continue trying to sell its HomePod to pursue superior quality. But not anymore. Now, they will have to find a new justification for people to pay the $ 349 that it costs.